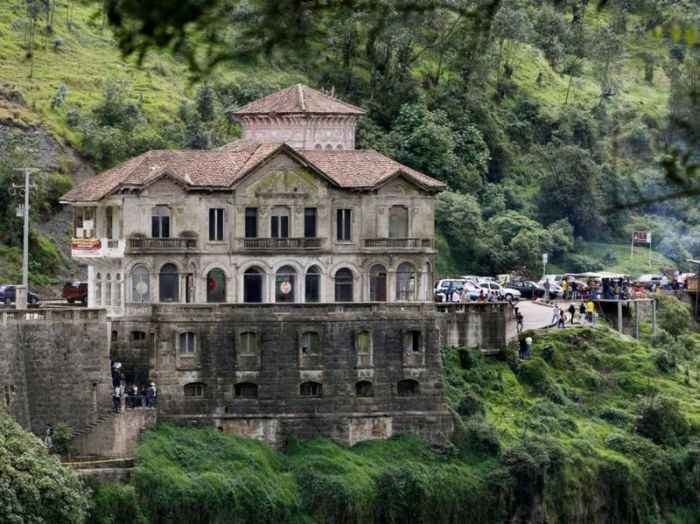 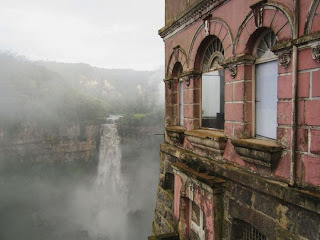 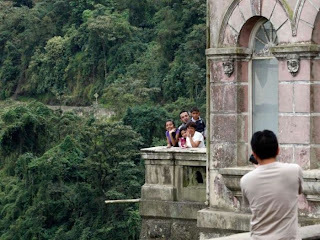 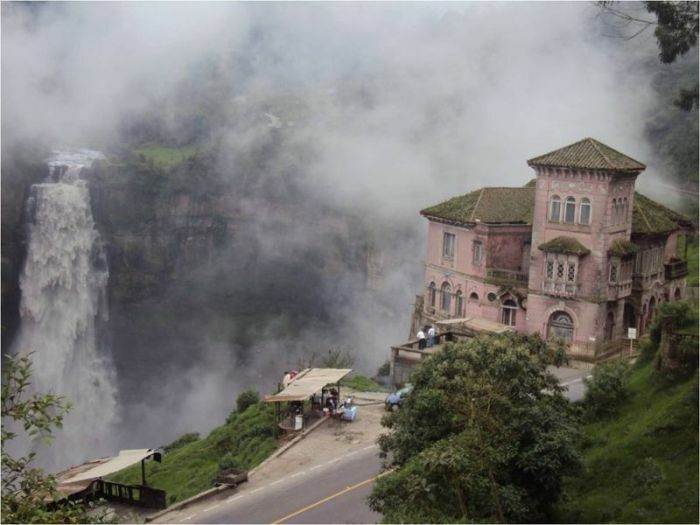 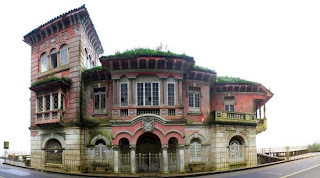 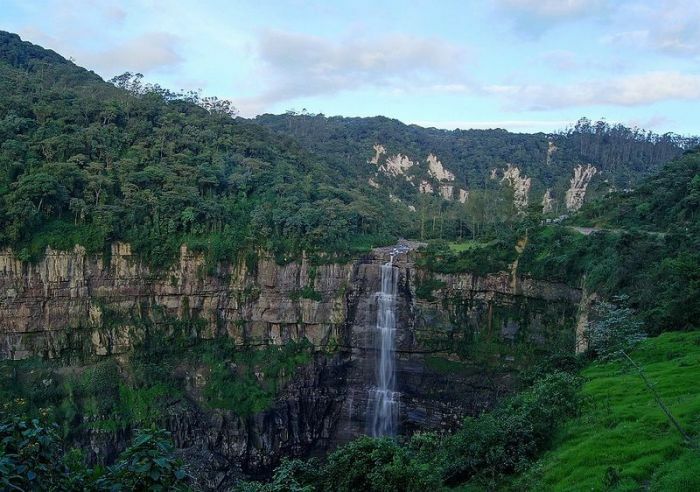 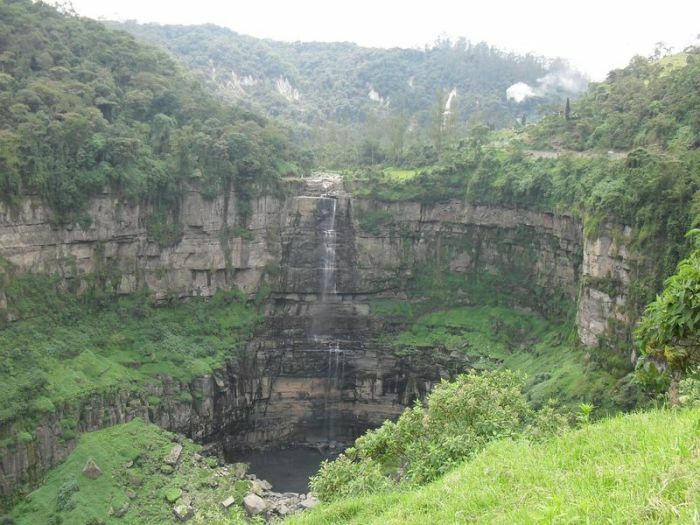 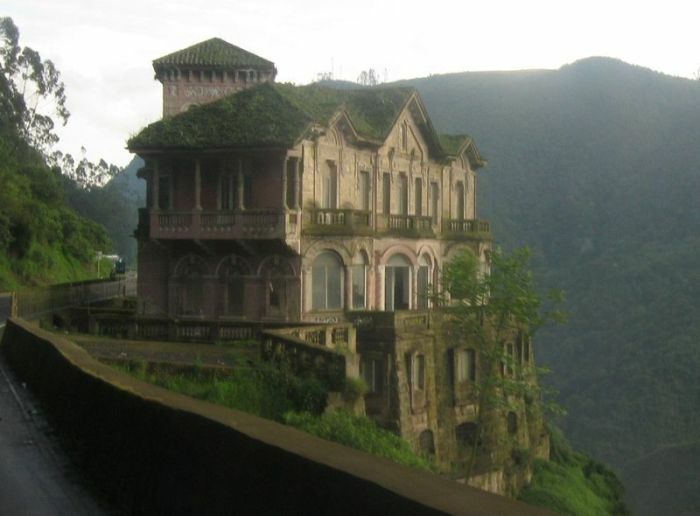 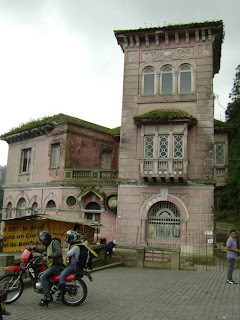 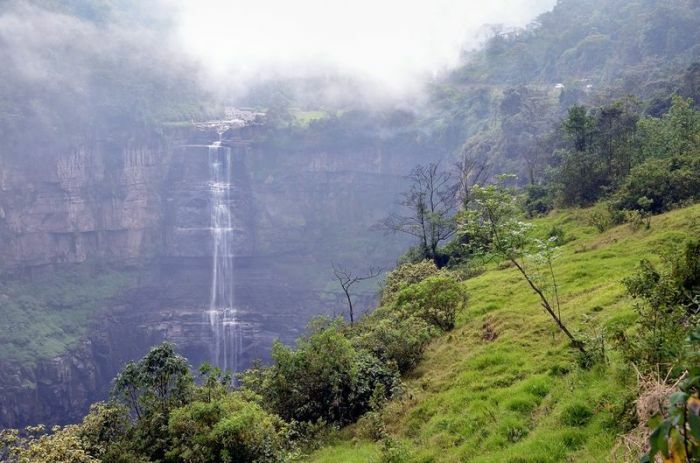 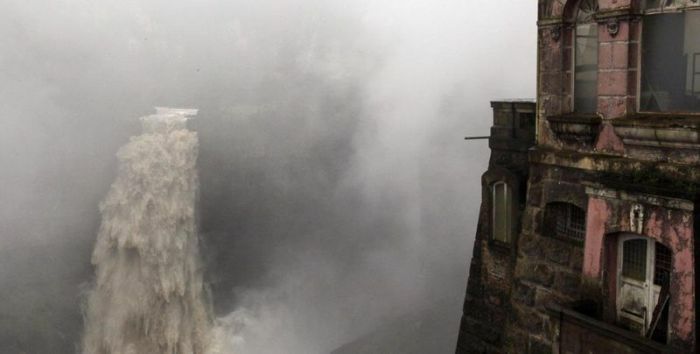 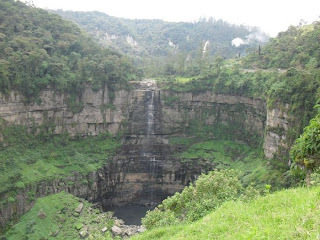 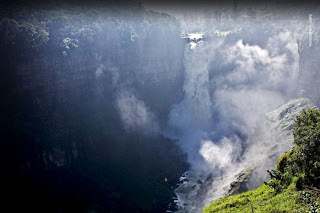 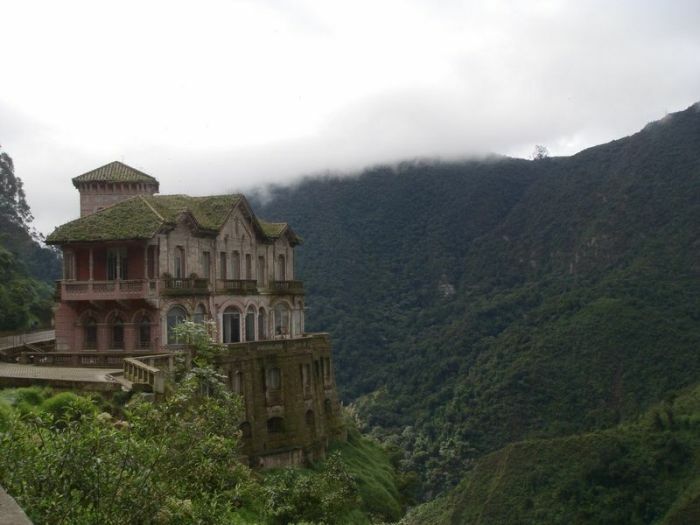 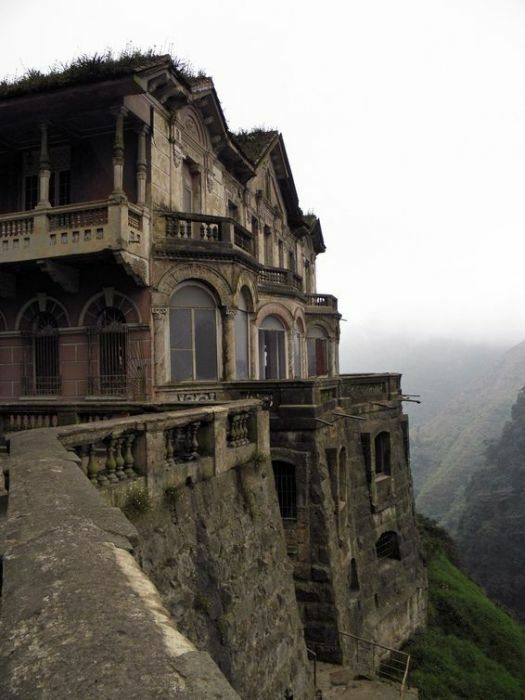 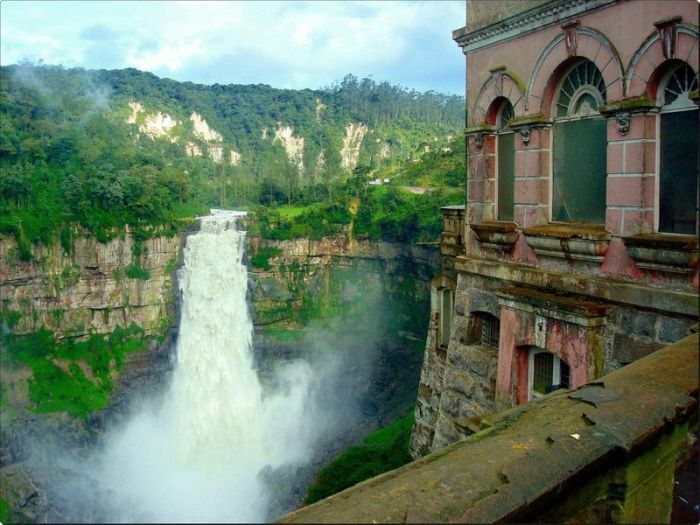 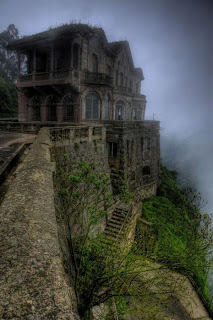 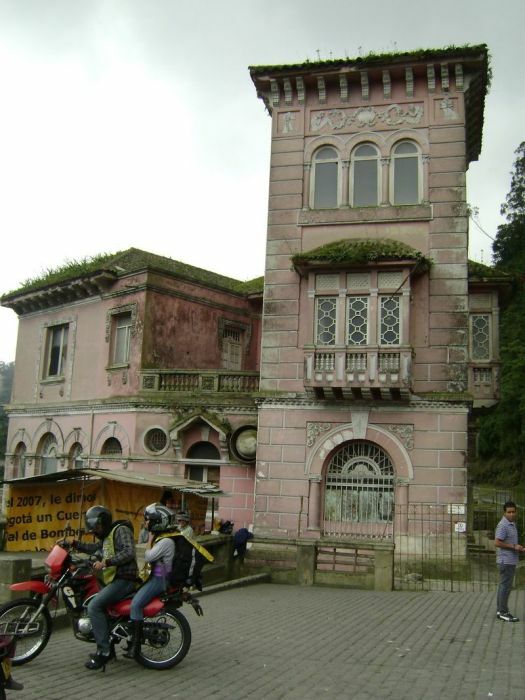 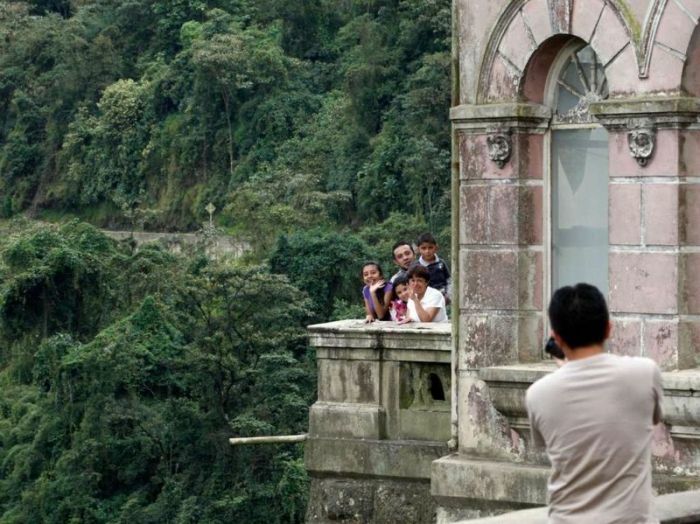 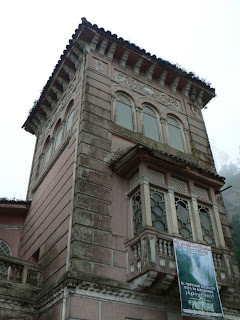 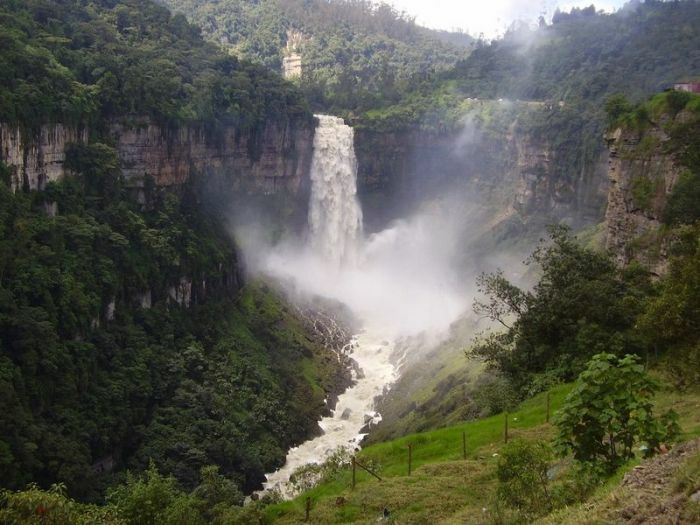 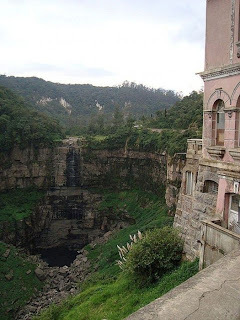 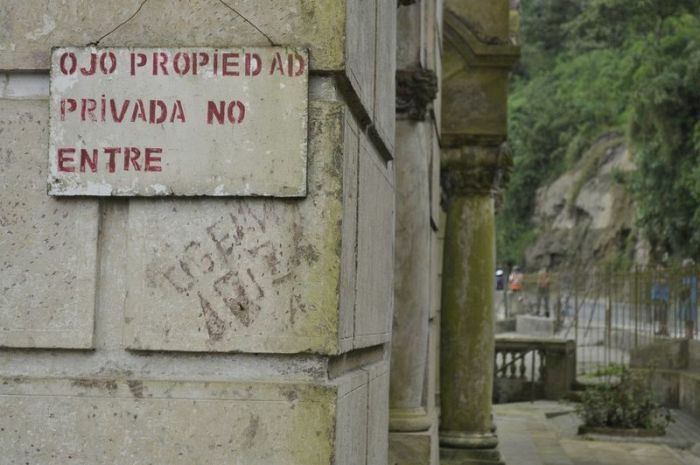 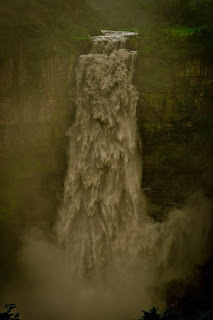 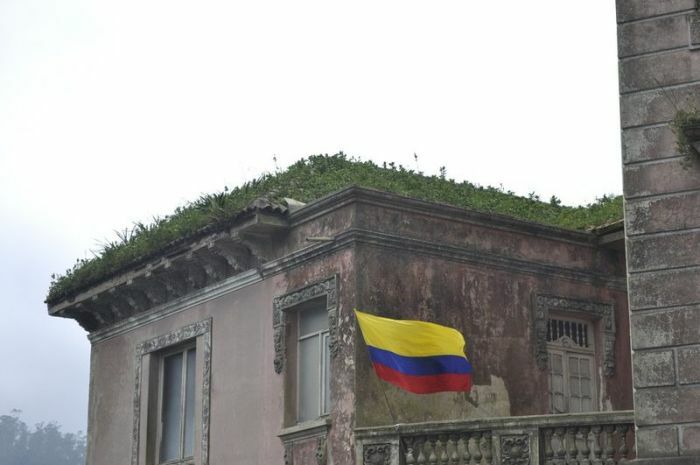 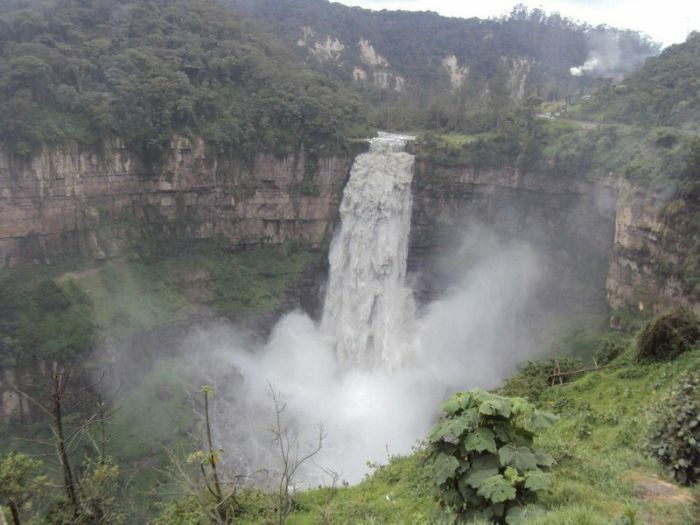 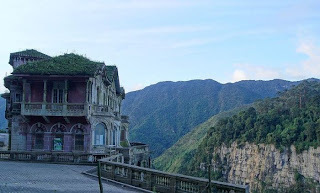 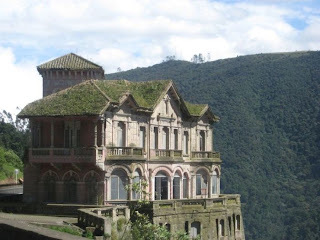 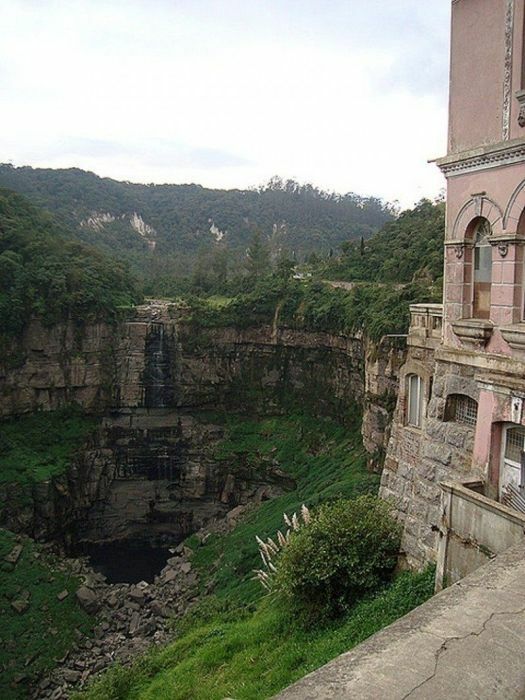 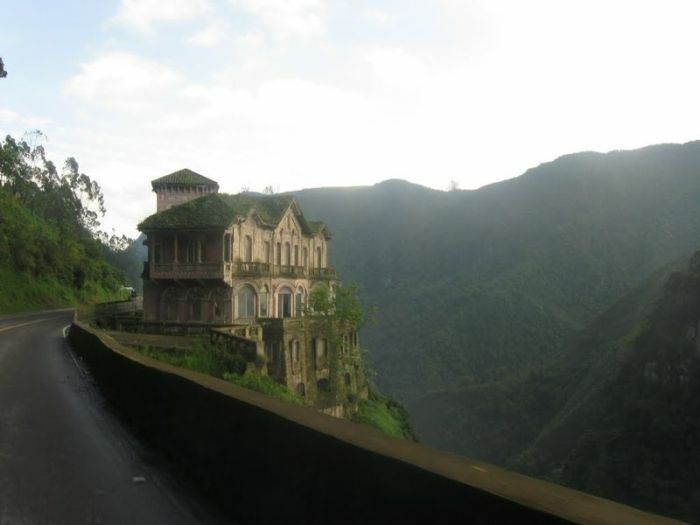 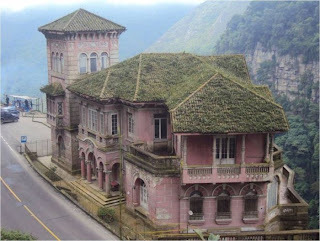 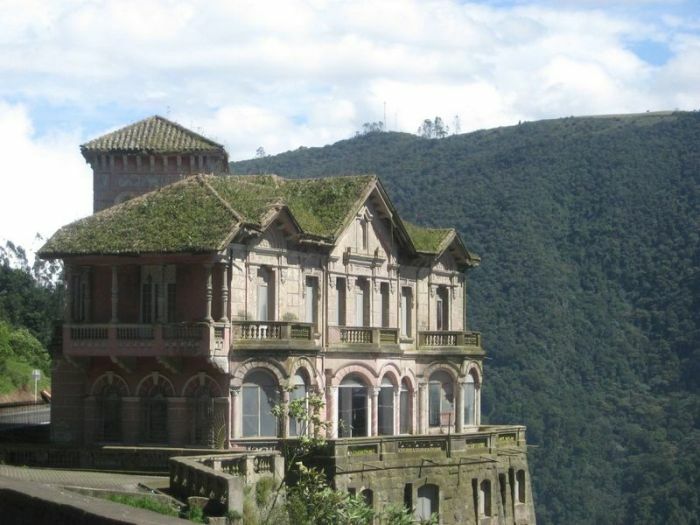 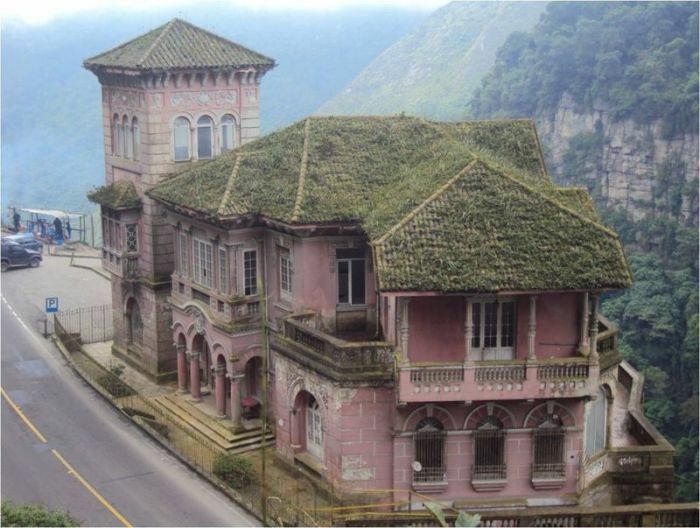 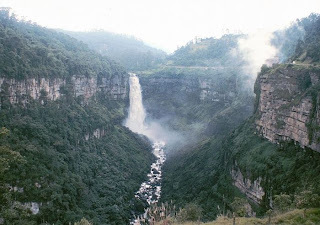 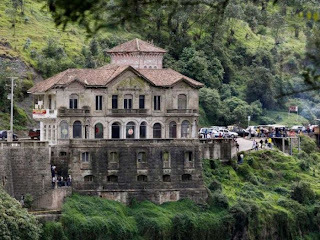 The Hotel del Salto is located near Tequendama Falls, Bogotá River, Colombia. 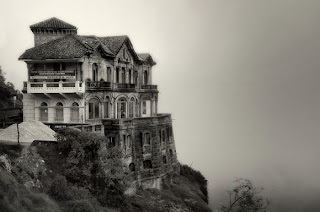 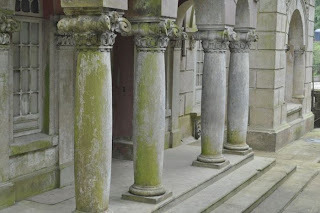 It was opened in 1924 and closed down in 1990's. 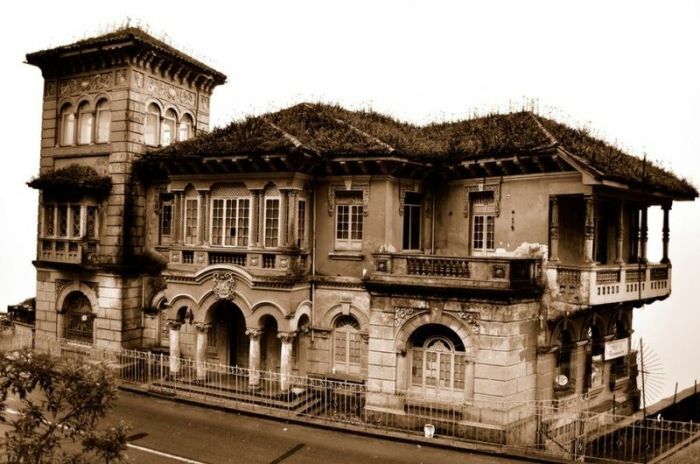 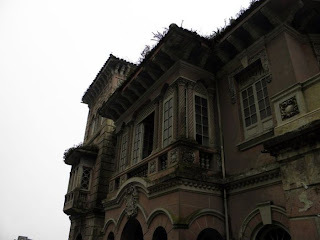 Some people say that the hotel was haunted and no one wanted to stay there. 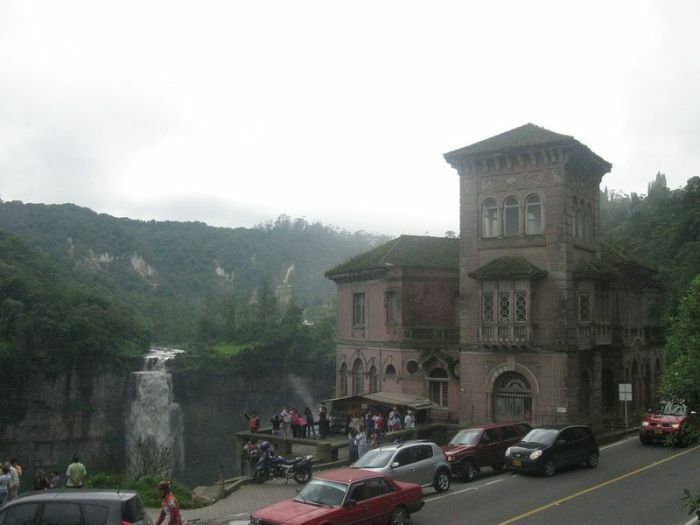 Others say that the river was very polluted, and this was the reason to shut down the hotel.